Brass instruments are found in the back of an orchestra and provide the foundation. 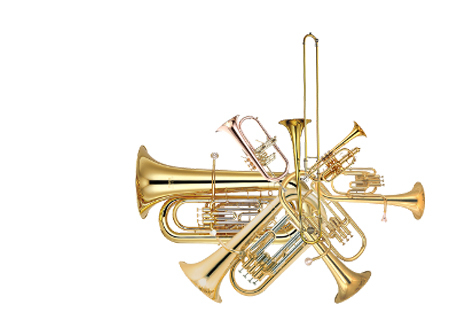 Brass instruments are the trumpet, french horn, trombone, euphonium, baritone and tuba. They are generally the loudest instruments in the orchestra however they are also able to play very softly. Brass instruments are used in many different types of music such as classical, jazz, pop and even mariachi to name a few! Alex Darouie, is a trumpet player, marching band instructor, and music educator based in Los Angeles. 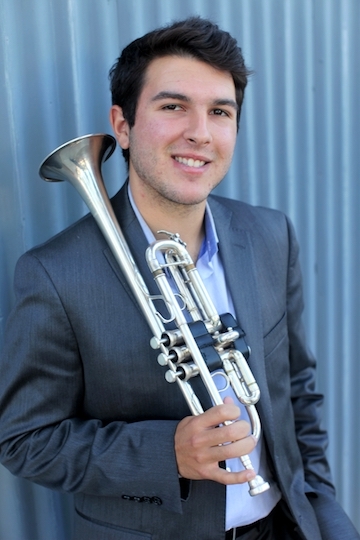 Originally from San Diego, Alex began playing the alto saxophone at the age of 12. After three years, Alex began learning the trumpet where he quickly excelled and fell in love with the instrument’s sound and versatility. After receiving weekly private lessons in high school, Alex was accepted into the Music Performance program at UCLA where he currently studies with acclaimed international trumpet soloist Jens Lindemann. Alex has also had the honor of studying with freelance trumpeter Jennifer Marotta and Principal Trumpet of the Los Angeles Philharmonic Thomas Hooten. As an active student at UCLA, Alex has played with all three of the performance ensembles, including the UCLA Philharmonia and UCLA Wind Ensemble. Along with his participation in various performance ensembles, Alex is also a member of the UCLA Brass Ensemble as well as a founding member of The D.I.Y. Brass Quintet. Alex is actively involved in music education and has taught trumpet players as well as other instrumentalists of all ages. Alex currently teaches at Alhambra High School where he is a musical and visual instructor for the marching band.